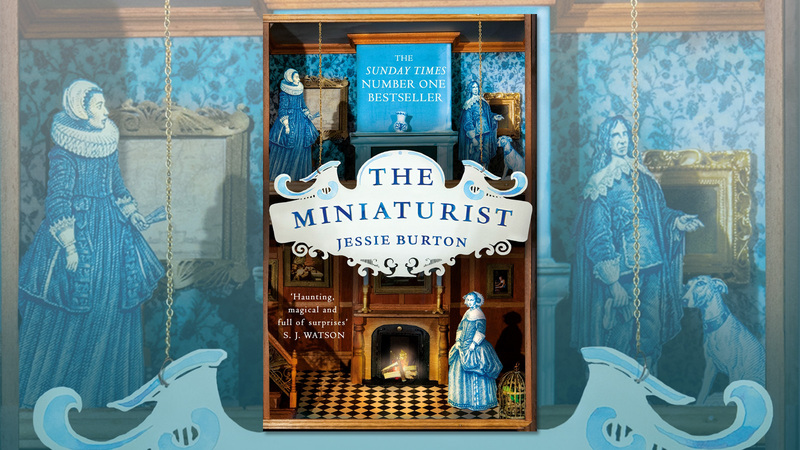 If you and your book group have read The Miniaturist and are looking for some questions to kick off your discussion, then you're in the right place: these ten questions have been compiled by Jessie Burton and her editor Francesca Main. If you've been reading Jessie Burton's The Miniaturist in your book group before the hugely exciting new adaptation airs on Boxing Day on BBC One, these ten questions, compiled by Jessie Burton and her editor Francesca Main, will help kick off your discussions. 1. How would you describe the sense of place in The Miniaturist, and how does the novel present seventeenth century Amsterdam? 2. What does the gift of the cabinet house symbolise to Nella in terms of her marriage to Johannes and her own status? 3. The Brandt household is full of secrets. Which made the biggest impression on you and why? 4. Did your attitude to the characters remain consistent throughout the novel, or did your loyalties shift as you kept reading? Which character provoked the strongest reaction from you? 5. How would you describe Nella’s relationship with Marin? In what ways do they conflict, and are they more alike than they think? 6. What do you think was the most significant cause of the Brandt’s downfall? 7. Do you think the miniaturist is a magical force or a human one? What is the most important thing that Nella learns from her? 8. To what extent do you think Nella was in control of her own fate, or was she at the mercy of those around her? 9. How did seventeenth century Dutch society view women, and how different is life for women today? 10. If you were Nella and had to take up her role at the end of the book, what would you do next? The Miniaturist, the million-copy bestselling debut novel by Jessie Burton is available in paperback and as a tv-tie in edition now. The two part adaptation of The Miniaturist, starring Romola Garai and Anya Taylor-Joy, airs on BBC One at 9pm on 26th and 27th December 2017.